These albums contain high resolution images, handout pictures from the Royal Court. They are available for editorial use only, not for sale. Please open the large version of the pictures for information about photographer etc. The pictures are grouped into albums. Choose your album, and the images it contains will appear beneath. 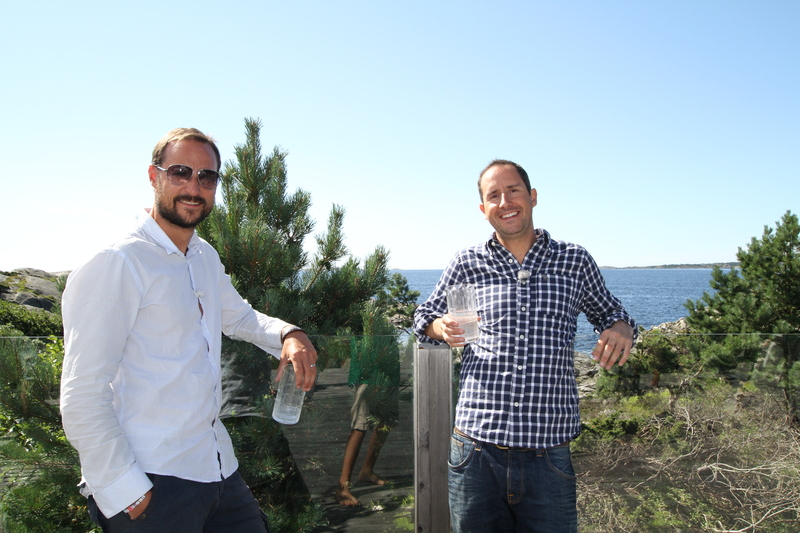 In June 2011, TV2's Thomas Numme and Harald Rønneberg met The Crown Prince and Crown Princess at Dvergsøya outside Kristiansand. The result, is a program to be televised on the occasion of the Crown Prince and Crown Princess 10th wedding anniversary 25 August 2011. Handout picture from The Royal Court. Published 17.08.2011. For editorial use only, not for sale. Photo: The Royal Court. Image size: 5184 x 3456 px, 5,16 Mb. This summer, TV2's Thomas Numme and Harald Rønneberg met The Crown Prince and Crown Princess at Dvergsøya outside Kristiansand. The result, is a program to be televised on the occasion of the Crown Prince and Crown Princess 10th wedding anniversary 25 August 2011. Handout picture from The Royal Court. Published 17.08.2011. For editorial use only, not for sale. Photo: The Royal Court. Image size: 5184 x 3456 px, 6,43 Mb. 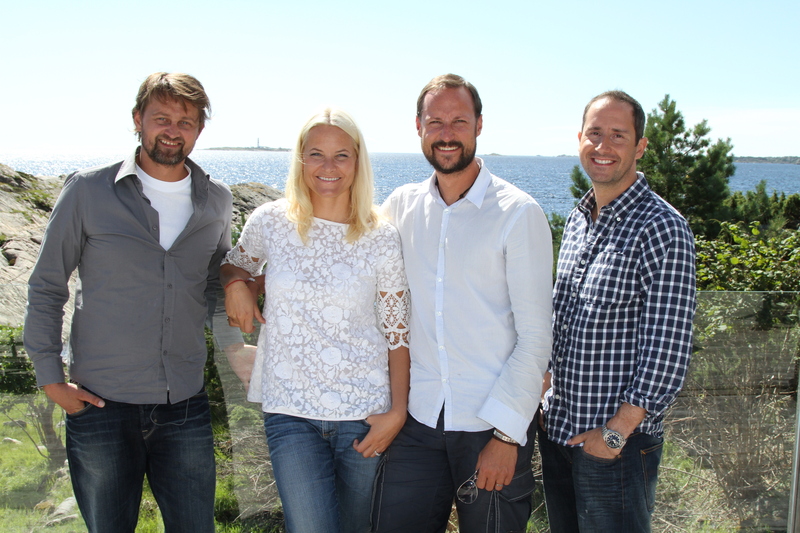 This summer, TV2's Thomas Numme and Harald Rønneberg met The Crown Prince and Crown Princess at Dvergsøya outside Kristiansand. The result, is a program to be televised on the occasion of the Crown Prince and Crown Princess 10th wedding anniversary 25 August 2011. Handout picture from The Royal Court. Published 17.08.2011. For editorial use only, not for sale. Photo: The Royal Court. Image size: 3776 x 2520 px, 4,03 Mb. This summer, TV2's Thomas Numme and Harald Rønneberg met The Crown Prince and Crown Princess at Dvergsøya outside Kristiansand. The result, is a program to be televised on the occasion of the Crown Prince and Crown Princess 10th wedding anniversary 25 August 2011. Handout picture from The Royal Court. Published 17.08.2011. For editorial use only, not for sale. Photo: The Royal Court. Image size: 5184 x 3456 px, 6,72 Mb. This summer, TV2's Thomas Numme and Harald Rønneberg met The Crown Prince and Crown Princess at Dvergsøya outside Kristiansand. The result, is a program to be televised on the occasion of the Crown Prince and Crown Princess 10th wedding anniversary 25 August 2011. Handout picture from The Royal Court. Published 17.08.2011. For editorial use only, not for sale. Photo: The Royal Court. Image size: 5184 x 3456 px, 7,07 Mb. This summer, TV2's Thomas Numme and Harald Rønneberg met The Crown Prince and Crown Princess at Dvergsøya outside Kristiansand. The result, is a program to be televised on the occasion of the Crown Prince and Crown Princess 10th wedding anniversary 25 August 2011. Handout picture from The Royal Court. Published 17.08.2011. For editorial use only, not for sale. Photo: The Royal Court. Image size: 5184 x 3456 px, 6,12 Mb. This summer, TV2's Thomas Numme and Harald Rønneberg met The Crown Prince and Crown Princess at Dvergsøya outside Kristiansand. The result, is a program to be televised on the occasion of the Crown Prince and Crown Princess 10th wedding anniversary 25 August 2011. Handout picture from The Royal Court. Published 17.08.2011. For editorial use only, not for sale. Photo: The Royal Court. Image size: 3776 x 2520 px, 4,17 Mb. This summer, TV2's Thomas Numme and Harald Rønneberg met The Crown Prince and Crown Princess at Dvergsøya outside Kristiansand. The result, is a program to be televised on the occasion of the Crown Prince and Crown Princess 10th wedding anniversary 25 August 2011. Handout picture from The Royal Court. Published 17.08.2011. For editorial use only, not for sale. Photo: The Royal Court. Image size: 5184 x 3456 px, 6,67 Mb. 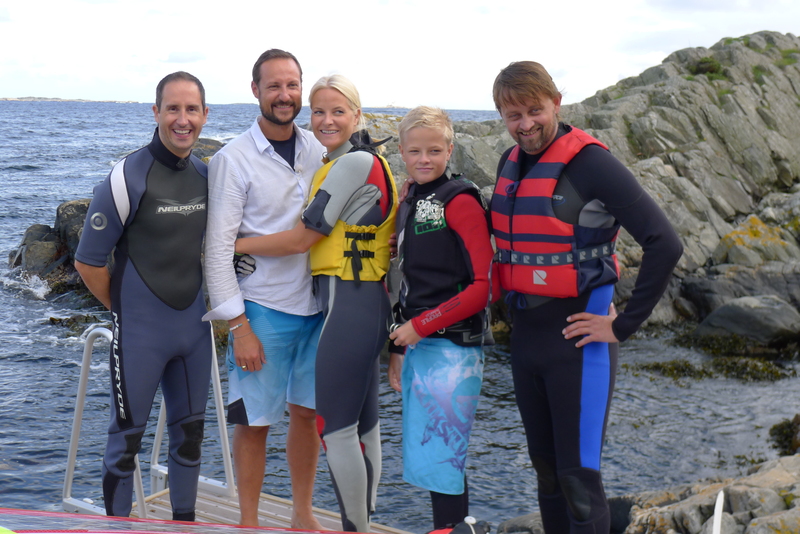 This summer, TV2's Thomas Numme and Harald Rønneberg met The Crown Prince and Crown Princess at Dvergsøya outside Kristiansand. The result, is a program to be televised on the occasion of the Crown Prince and Crown Princess 10th wedding anniversary 25 August 2011. Handout picture from The Royal Court. Published 17.08.2011. For editorial use only, not for sale. Photo: The Royal Court. Image size: 3776 x 2520 px, 4,21Mb.